Students are the ultimate renegades. They revel in the unorthodox, love breaking the rules. When applied to writing, that inclination can certainly be useful and, sometimes, exciting. However, no matter how subversive a theatrical project may be, how non-linear the presentation of the material, somewhere in the shadows there must lurk a guiding framework. Otherwise, the piece—or the audience dozing in their seats—may fall flat. From Shakespeare to Mamet, Sophocles to Albee, successful dramatic works are composed of formative actions that build upon one another compellingly, ultimately comprising distinct structural parts. There are many approaches to structuring dramatic writing. "The Structure of Tragedy" from Aristotle’s Poetics is a literary mainstay. 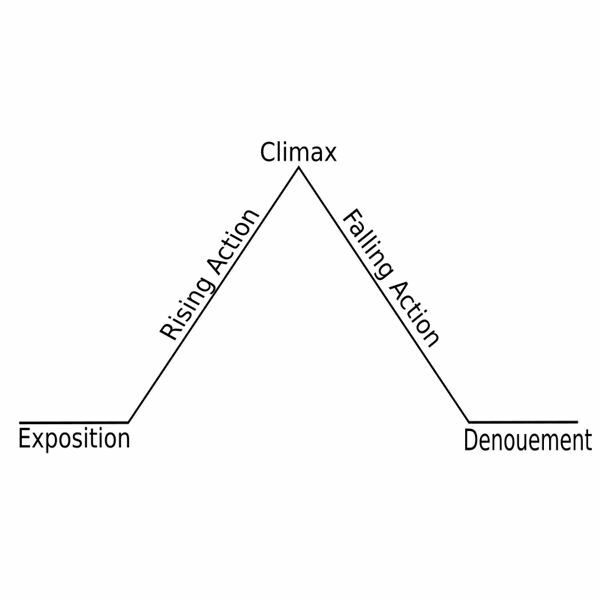 Gustav Freytag’s “Pyramid" or “Plot Mountain" employs such familiar tags as Rising Action, Falling Action and Denouement. Numerous other writers and scholars have devised various charts, systems and lexicons to aid their peers in the craft of writing plays and/or screenplays. Ultimately though, whatever the terms coined, the fundamental components are essentially the same. David Ball, in his playreading guide, Backwards & Forwards: A Technical Manual for Reading Plays, offers an apt least common denominator, if you will, a solid method for approaching structure that easily applies to any dramatic work. Wonderful in its simplicity, this approach can be used to analyze or strengthen even the most irreverent of theatrical works. Introduce these components to students, asking that they identify each component in their favorite plays or movies. They—and you—may be surprised at how well the pieces fit. Next, have your students try this playwriting exercise, employing this approach.